Lots of things can use rechargeable batteries, like phones, laptops, and... jackets? 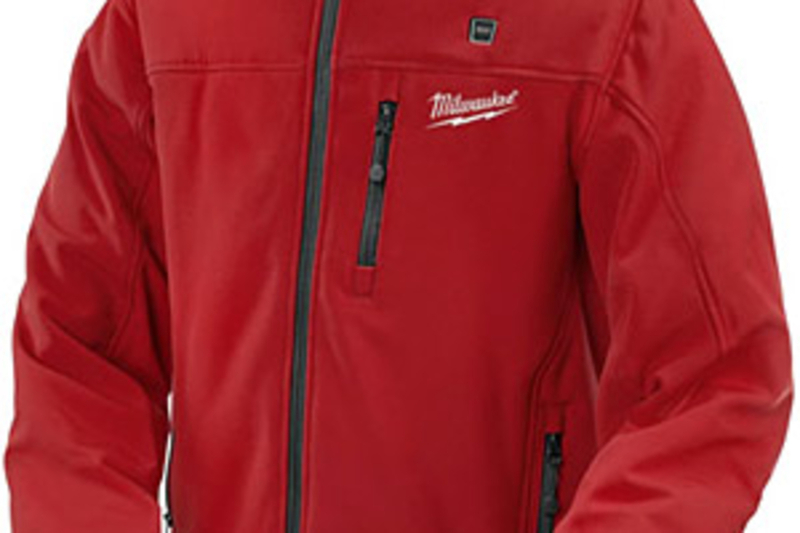 Powered by the same M12 Red Lithium battery that runs the company's power tools, the Milwaukee M12 Heated Jacket ($135-$180) features three carbon fiber heating zones to keep you comfortable in even the most fierce cold, while multiple layers provide protection from wind and water. Just don't forget the charger. If you remember a time before the combination of "leather jacket" and "motorcycle" was synonymous with "Harley-Davidson" then you'll definitely appreciate this Barbour Vintage International Leather Jacket ($1,200). Looking like something more fitting of Young Indiana Jones than Easy Rider, this lengthy jacket features a worn, broken-in vintage look to its brown leather exterior, a zip front with button storm flap, various pockets, tartan wool interior lining with a quilted drip strip at the bottom, and a waist belt for an added bit of authenticity. No, not soft core as in Cinemax — soft core as in it's not lined with chain mesh. 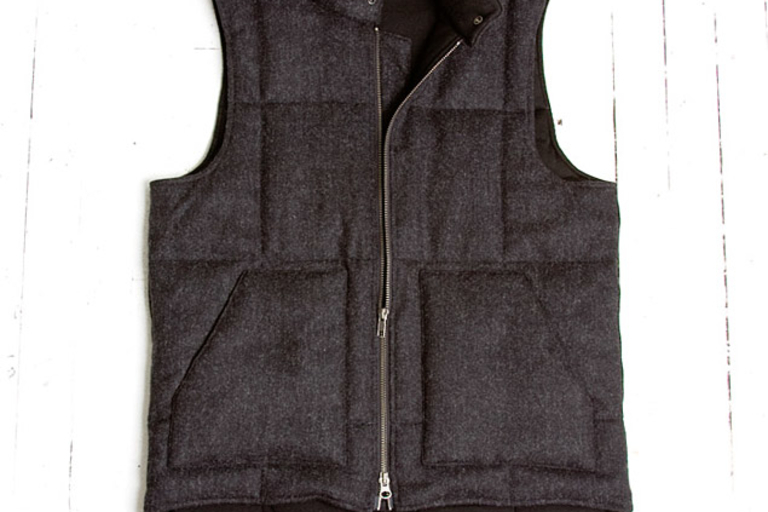 The Outlier Soft Core Wool Vest ($120) is designed to keep you warm and looking great whether it's your outermost layer or hidden behind a thicker coat. It features a soft core — get it now? — of fine New Zealand merino wool, 120 gram, military-grade Primaloft Infinity insulation stuffed in the middle like Oreo filling, two handwarmer front pockets, a reach-around pocket on the rear, a two-way metal zipper, and an outer layer of virgin wool flannel that gives it just a touch of ruggedness without becoming harsh on your skin. Stay warm and dry this fall in the Nau Urbane Jacket ($280). Made from two-layer waterproof, windproof breathable laminate, this handsome, moto-style jacket features waterproof Riri zippers, a full front placket, two chest flap pockets and two zip-close hand pockets, a removable hood, and articulated sleeves for full movement, whether you're out for a ride or out for some beers. With an insane "fog" color scheme only Kanye could love, the Patagonia Special Edition Down Sweater ($275) is a loud way to keep warm this winter. Stuffed with 900-fill-power European goose down, this zip-up is half the weight of its normal counterpart, and also features Deluge DWR water-repellent coating on the ripstop nylon exterior, three zippered pockets, a drawcord hem, and elastic cuffs to keep out the cold, which may or may not be necessary depending on how likely you are to wear the thing in public. 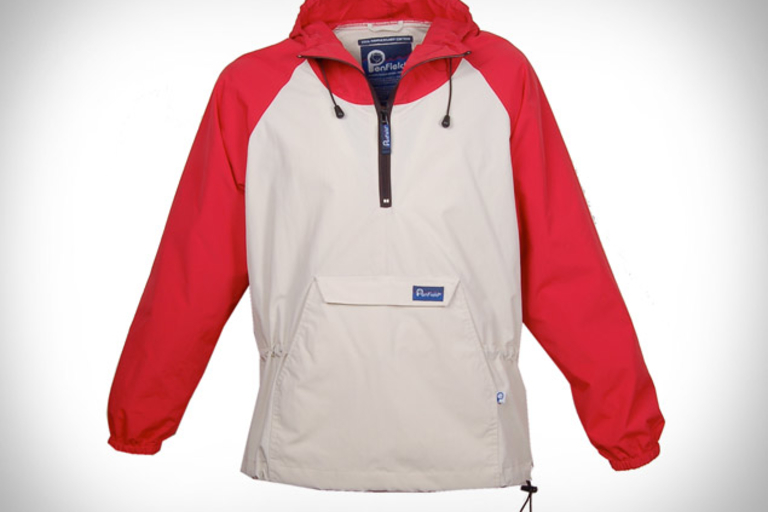 Springtime storms can crop up at a moment's notice, so stay prepared with the Penfield Pacjac 35th Anniversary Jacket ($130). Created to honor the company's 35th anniversary, this remake of the original Pac-Jac is made from 100% wind- and water-resistant nylon, and features an adjustable hem and hood, a waist cinch, a vented back section, a special anniversary zip pull, and a design that allows it to pack into its own front pocket, letting you avoid the dreaded "jacket tied around the waist to hide spontaneous boners" look. As the weather warms and we transition from thick coats to slimmer jackets (okay, maybe not yet, but soon), the Nau Vice Blazer ($225) is there to keep you looking stylish through the spring. 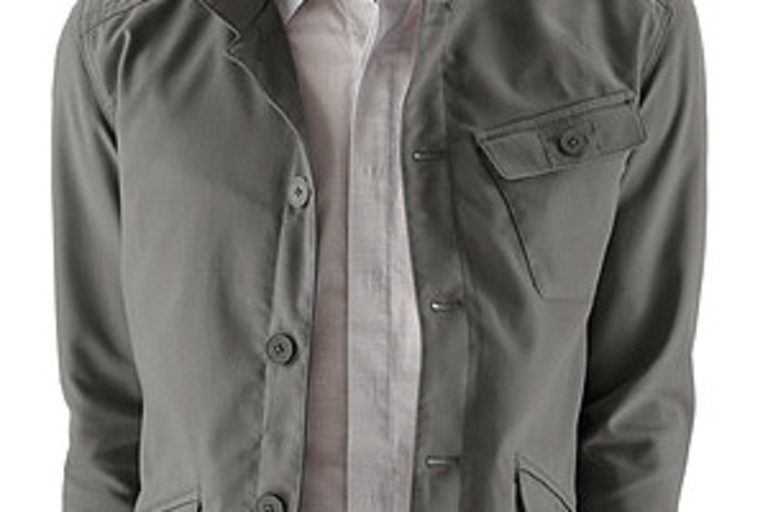 Made from wind-resistant, recycled poly/organic cotton fabric treated with a DWR finish to provide water repellency, the Vice offers a vaguely military-chic look, with shaped cuffs, button-close lower front and left chest pockets, a rear right-side zippered pocket, and a tall collar that functions equally well down or popped.